As Christian communicators we are committed by our faith and profession to freedom of expression, free press, media diversity and other communication rights. 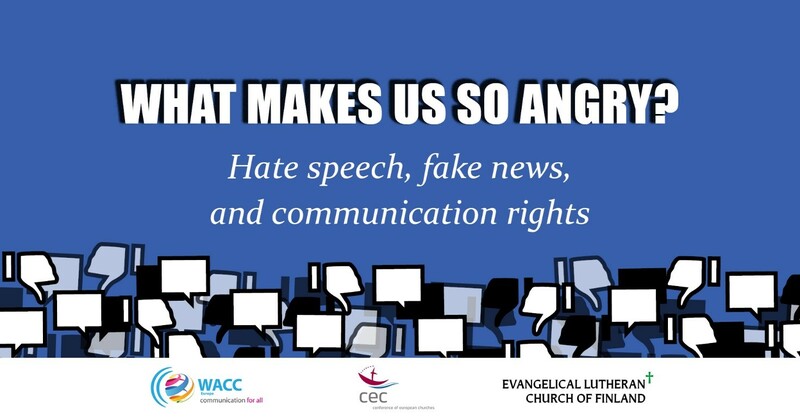 So how do we respond to the seemingly growing proliferation of hate speech and fake news online? The conference will start at Church House, Helsinki, Finland, at 9:30 am on Wednesday 10 April and continue on the Viking ferry to and from Stockholm, returning with arrival in Helsinki at 10:30 am on Friday 12 April. Full programme -> here. Participation fee: 190 €, incl. seminar programme, ferry tickets, two nights accommodation (Wednesday and Thursday nights) in single seaside standard cabin (A4) and all meals on board M/S Gabriella (April 10th-12th). Payment by invoices to be issued. For more information regarding the programme, please contact Sara Speicher (WACC), or Erin Green (CEC).